During the month of March, Eerdmans has some great deals on Kindle versions of recent publications. Although I prefer real books to digital (and Logos books to Kindle), these are worth buying for a few bucks. If you do not own a Kindle device, you can get an App on most devices to read Kindle books. I use the iPad Kindle App, it is very convenient for travel (or reading in the dark, if you are into that). I think the highlight of this month’s sale is J. R. Daniel Kirk, A Man Attested by God: The Human Jesus of the Synoptic Gospels. James McGrath said “This may well be the most important book about New Testament Christology to appear in recent years.” Kirk argues against the idea the Gospels present Jesus as divine, but rather he is a idealized human similar to other ideal humans (Moses, Elijah, etc.) It is a challenging book, well worth reading and considering his arguments. There are quite a few others, so poke around the Eerdmans books on Amazon and see what you can find. The sale runs through the end of March 2019. This new collection of essays from Michael Bird includes three chapters previously published and two lengthy chapters written for this volume. A lengthy thirty-page introduction explains what Bird means by “an anomalous Jew” (aside from the play on John Meier’s work on the Historical Jesus, A Marginal Jew or Daniel Boyarin’s Paul: A Radical Jew). Although it is commonplace in contemporary scholarship to acknowledge Paul’s Jewish roots, Bird points out Paul says things that no other Torah-affirming Jew would say and he was opposed violently by Torah-affirming Jews. Paul’s view of what God is doing in the present age through Jesus Christ led to his “decentering of the Torah” (7). So if Paul is a Jewish thinker, how should he be situated in what we know about Second Temple period Judaism? Prior to the twentieth century, situating Paul within Judaism was not even considered since Paul was read as completely rejecting his Jewish (legalistic) religion and “converting” to Christianity. Aside from the historical anachronisms, the traditional view of Paul was at best anti-Semitic. But since the Holocaust Pauline scholarship had returned the idea Paul represents some form of early Judaism. Bird offers several contemporary scholarly opinions that Paul was a Former Jew (Martyn), a Transformed Jew (Sanders, Dunn and the New Perspective), a Faithful Jew (Mark Nanos), or even a Radical Jew (Daniel Boyarin). Bird picks up on a suggestion from John Barclay that Paul was an anomalous diaspora Jew, although he wants to include the “thoroughly Judean Paul” of W. D. Davies, E. P. Sanders and the New Perspective (27). Having charted the course in his introduction, Bird then turns to “Salvation in Paul’s Judaism” (chapter 1, a shorter version appeared in Paul and Judaism, LNTS 463; T&T Clark 2012). He begins by surveying several recent attempts to describe Paul’s view of salvation as being either against Judaism or within it. If Paul was against the Judaism of his day, then he was necessarily supersessionist and conceived of Christianity as the replacement for Israel. But if Paul stayed in some sense within Judaism, then Paul viewed Jews and Gentiles as a “remnant within Israel who occupy a special place within an irrevocably elected Israel” (45). Bird concludes Paul was somewhere between these two poles since he seems intra-Judaism with respect to halakic discussions, but contra-Judaism in the sense he says things no Second Temple Jew would, such as the Torah leads to death. Written specifically for this volume, the second essay in the collection asks if Paul was an Apostle to the Gentiles and Jews. Bird begins with the observation that Paul’s title of “apostle to the Gentiles” has obscured his continued mission to the Jews. Since the epistles of Paul may be used to argue Paul only went to the Gentiles after his conversion, the accuracy of Acts is questions (since Paul continues to reach out to Jews throughout his whole career). Bird therefore focuses this essay on the place of the Jews in Paul’s apostolate to the Gentiles (71). In order to achieve this goal, he begins with an overview of the vocabulary Paul used for non-believing non-Jews (ἔθνη, Ἕλλην, ἀκροβυστία, περιτομή, ἄνομος). This vocabulary is more “fuzzy” than often observed, especially when used to describe the target of Paul’s mission. Bird has a helpful chart on page 85 demonstrating that there are both lawless Gentiles and Jews, Greeks (Hellenes who may also be lawless) but Diaspora Jews (who might be Hellenistic but keep the Law). Bird argues Paul did in fact target Jews in the Diaspora, but also that his mission evolved over the years. Although this is not controversial as far as I can see, Bird goes on to ask when Paul received his commission to go to the Gentiles. He argues the evidence from Acts is ambiguous. Acts 9:15 indicates he was to carry Jesus’ name to “Gentiles and Kings and the sons of Israel.” In fact, Paul does go to synagogues where he preaches that Jesus is the Messiah, and he does continue to go to synagogues in the book of Acts. One potential problem is Paul’s time in Arabia, but Bird argues Paul’s focus was on Jews living in the Nabatean kingdom, especially around Damascus. What may be controversial in this essay is Bird’s contention the commission to go to the Gentiles occurs after the Jerusalem council in Acts 15. It is only after this watershed moment that Paul begins to partition his Gentile churches from the synagogues (96). Bird thinks this may help understand Paul’s statement in 1 Corinthians 9:20-22 that he became a Jew in order to win the Jews, and a Gentile to win the Gentiles. Given the flexible vocabulary Paul uses to describe his mission, Paul’s target were those who were not in Christ, which may include some Jews. The door was opened to the Gentiles, but as Bid says, it was never closed to the Jews (104). By the end of this chapter, Bird indicates Acts is a trustworthy guide, which raises a question for the thesis Paul’s Gentile mission developed more fully after the Jerusalem Council. Although he acknowledges the synagogue sermon in Acts 13 is paradigmatic for Lukan theology, he overlooks the important symbolic miracle earlier in that chapter. After “Barnabas and Saul” visit synagogues on Cyprus, Saul approaches a Roman official. This man is not a God-fearing Gentile (like Cornelius) and appears to be a pagan Roman. When Saul attempts to share the Gospel with him, a Jewish sorcerer attempts to stop him. At this point in the story Luke tells the readers Saul is also called Paul, and Paul delivers a judgment speech on the Jewish sorcerer and he is blinded for a time. After this dramatic incident, Luke only uses the name Paul and almost always places Paul first (“Paul and Barnabas,” the only exception is at the Jerusalem council). This symbolic blinding is explained in the synagogue sermon later in Acts 13, where Paul and Barnabas “turn to the Gentiles” for the first time in the book of Acts. Luke has used this story at a crucial turning point in his overall story, but the incident also seems to indicate Paul was targeting a Roman official before the Jerusalem council. I have no doubt Bird is correct that Paul’s missionary strategy developed and matured over the years and it is absolutely the case Paul continued to use the synagogue as a platform for preaching Jesus as Messiah. But perhaps he was engaged in Gentile mission such as approaching Romans such as Sergius Paulus from the beginning. At a combined one hundred pages, chapters 3 and 4 are a kind of mini-commentary on Galatians. In chapter three Bird offers an assessment of recent apocalyptic readings of Galatians (“An Invasive Story: An Apocalyptic and Salvation-Historical Rereading of Galatians”). As his first two footnotes make clear, apocalyptic readings of Galatians are a hot topic for Pauline scholars in recent years. There are two ways of nuancing the issue. For many Pauline scholars such as Krister Stendahl, a salvation-history or covenantal approach is an adequate explanation for Paul’s theology. Paul’s theology is set within the larger story of Israel. But for others (Käsemann and Beker), apocalyptic is central to Paul’s thinking. By apocalyptic, these scholars focus on Jesus as the messiah and his death and resurrection as an apocalyptic event which creates a new world, perhaps a new “kingdom of God.” Louis Martyn and Douglas Campbell make a sharp distinction between these two approaches, although others (Wright, Dunn, for example) see a unity between salvation history and an apocalyptic reading of the Christ event. After surveying some of the literature, Bird engages with Martyn’s apocalyptic interpretation of Paul (especially in his Anchor Bible Galatians commentary) in order to show the dichotomy between salvation history and apocalyptic is not necessary. Bird says “there is no requirement we divorce Paul’s apocalyptic theology from its metanarrative of the Jewish Scriptures” (116) because apocalyptic properly understood is the climax of God’s saving purpose for his people, not a whole new start, and certainly not a repudiation of the past” (121). After examining several key texts in Galatians, Bird concludes “Paul’s apocalyptic gospel is necessarily salvation-historical by nature of the Jewish context of his eschatology and Christology” (167). This conclusion helps unpack the title of the collection, Paul was truly anomalous in the sense that the Law was preparatory for salvation rather than necessary for salvation, a conclusion which was provocative and an affront to Paul’s Jewish opponents. I am reminded of F. F. Bruce’s comment in his Galatians commentary, the Law was a parenthesis between the promise to Abraham and the present age (NIGTC, 153-4). This view of the Law would certainly be anomalous in Second Temple Judaism. In chapter four, Bird returns to Galatians 2:11-14 and argues the incident at Antioch represents “the beginnings of Paulinism.” An earlier version of this essay was published in Earliest Christian History (ed. Bird and Matson; WUNT 2.320; Tubingen: Mohr Siebeck, 2012): 329-61. In this essay, Bird returns to one of the more tantalizing sections of Galatians, Paul’s confrontation of Peter in Antioch. In chapter 2 Bird has already suggested Paul’s mission to the Gentiles developed over time and that the Jerusalem council (Acts 15) played a significant role in targeting Paul’s missionary efforts at the Gentiles. Conclusion. As with any collection of essays drawn from various sources, there is potential for lack of cohesion between the chapters. 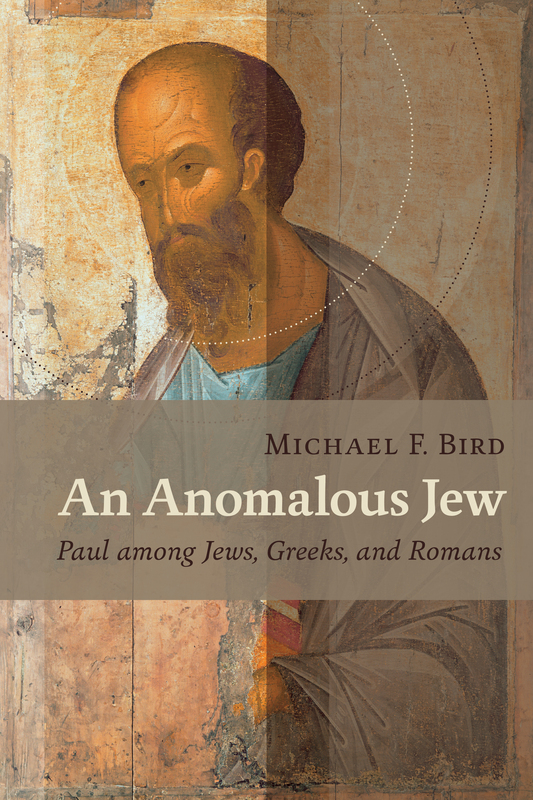 Bird has worked hard to draw previously printed essays back to the title of the book: why does Paul appear to be an anomalous Jew? Although this is achieved by editing the introductions and conclusions to each essay, each topic does in fact demonstrate Paul operated within the world of Judaism, but he certainly did not fit the pattern of other early Jewish Christ-believers or other Jewish groups from the Second Temple period. A genre of revelatory literature with a narrative framework, in which a revelation is mediated by an otherworldly being to a human recipient, disclosing a transcendent reality which is both temporal, insofar as it envisages eschatological salvation, and spatial insofar as it involves another, supernatural world. (Semeia 14 : 9). In Semeia 36, this definition was expanded to include “intended to interpret present, earthly circumstances in light of the supernatural world and of the future, and to influence both the understanding and the behavior of the audience by means of divine authority” (Adela Yarbro Collins, Semeia 36 : 7). Near the end of this book, Collins cites T.S. Eliot, apocalypses are written for times when humankind cannot bear very much reality (324). Collins thinks this is “too vague to be satisfying” (11). A second challenge uses prototype theory to suggest a particular example is an ancestor of later similar members of the genre. All subsequent examples of the genre are really variations on the prototype, so that boundaries between genres are blurred. He goes on to offer two problematic examples. Jubilees and Joseph and Asenath. Both have sections which have been identified as apocalyptic, yet cannot be described as apocalyptic as a whole. Jubilees “belongs on the fuzzy fringes of the genre” (18). The first section of this collection relates the genre of apocalypse to prophecy. In “The Eschatology of Zechariah,” (originally published as L. L. Grabbe and R. D. Haak, eds., Knowing the End from the Beginning: The Prophetic, the Apocalyptic, and Their Relationship [New York: T&T Clark International, 2003]: 74-84), Collins argues the future expectations of Zechariah are eschatological in the prophetic sense, and even messianic, but not apocalyptic (33). In the second essay in this section Collins examines a common element in both apocalypse and prophecy, the end of the world (originally published as “The Beginning of the End of the World,” in John Ahn and Stephen Cook, eds., Thus Says the Lord: Essays on the Former and Latter Prophets in Honor of Robert R. Wilson [New York: Continuum, 2009]:137-55). In the Hebrew Bible and all examples of Jewish apocalyptic, the end of the world always leads to restoration and renewal (53). The only exception Collins finds is Sibylline Oracles 5.512-31, and even this example is debatable. The third essay in this section discusses the shift from classic prophecy to apocalyptic (originally delivered as the Johannes Munck Lecture: “Apocalypticism and the Transformation of Prophecy in the Second Temple Period,” University of Aarhus, October 10, 2013). During the post exilic period prophecy shifted from a spoken form to a textual form, which had the effect of unmooring a prophecy from a historical context (63). For example, Daniel 12:1-4 makes six references to Isaiah 53. Daniel is “drawing on the linguistic resources of Isaiah” to react to the persecutions of Antiochus Epiphanes (65). This is a new text, not a pesher (interpretation). For Collins, the apocalyptic prophets were not simply creating a pastiche of older texts, they were “engages in wide ranging bricolage drawing on many sources” (67), transforming prophecy, wisdom and myth in the face of cultural disruption (69). The essays in the second section concern “variations on a genre.” First in this section is an evaluation of Gabriele Boccaccini’s “Essene Hypothesis” (originally published as “Enochic Judaism: An Assessment,” in Adolfo D. Roitman, Lawrence H. Schiffman, and Shani Tzoref, eds., The Dead Sea Scrolls and Contemporary Culture: Proceedings of the International Conference Held at the Israel Museum, Jerusalem (July 6-8, 2008) [STDJ 93; Leiden: Brill, 2011] 219-34). Although Collins agrees with Boccaccini that the Enoch literature is a distinctive form of Judaism, it is still a movement with Judaism and it is not clear the Essenes were distinct because of their use of Enoch. As suggested in the introductory essay, Jubilees is problematic for a definition of apocalyptic. In the third essay in this section Collins suggest Jubilees is an hybrid work which does not fit into any one category (originally published as “The Genre of the Book of Jubilees,” in Eric F. Mason et al., eds., A Teacher for All Generations: Essays in Honor of James C. VanderKam [JSJSup 153/2; Leiden: Brill, 2011]: 737-55). He critiques Hanneken’s suggestion that Jubilees imitates apocalypses on the surface level, but the basic elements of an apocalyptic worldview are “caricatured, inverted and refuted” (103). But as Collins points out, if this is irony it is humorless in the extreme. The fourth essay in this section examines another genre which is not apocalyptic, yet has some elements of the genre, the Sibylline Oracles (originally published as “The Sibyl and the Apocalypses,” in David E. Aune and Frederick E. Brenk, eds., Greco-Roman Culture and the New Testament [Leiden: Brill, 2012]: 185-202. There are some common features such as universal world history (and often violent destruction), but the Sibylline Oracles were not modeled on the apocalypses (125). The fifth essay in the section critiques a recently published text sometimes called The Gabriel Revelation (originally published as “Gabriel and David: Some Reflections on an Enigmatic Text,” in Matthias Henze, ed., Hazon Gabriel: New Readings of the Gabriel Revelation [SBLEJL; Atlanta: SBL, 2011] 99-112). This text describes an eschatological attack on Jerusalem and refers to an “evil branch” as a kind of Antichrist and a messiah from Ephraim, the son of Joseph rather than David. Collins carefully works through Knohl’s argument and concludes it is problematic on many counts, not the least of which is the uncertainty of this particular text. Finally in this section Collins discusses the apocalyptic theology of 4 Ezra (originally published as “The Idea of Election in 4 Ezra,” Jewish Studies Quarterly 16 : 83-96). Although 4 Ezra is certainly an apocalypse, it is quite different from other representatives of the genre. The book has three long dialogues between Ezra and an angel which become increasingly concerned with the election of Israel. Because of the book’s unique view of election, Sanders considered the book as an exception to his “covenantal nomism” and Bruce Longenecker described book as “ethnocentric nomism” (148). Collins suggests the book is in dialogue with wisdom tradition (especially in the laments), but has an “apocalyptic solution” to the problem of covenant theology and the fall of Jerusalem. God’s chosen people will survive, a theology which would serve to “reassure a relatively small and powerless people” (155). The third section of the book develops themes in Jewish Apocalyptic Literature. First, “Jerusalem and the Temple in Jewish Apocalyptic Literature of the Second Temple Period” (originally a presentation at Bar Ilan University in 1998 (International Rennert Guest Lecture Series). Although many Jews in the Second Temple were satisfied with worship at the Temple, “apocalyptic visionaries, by definition, wanted something more” (177). Daniel and the Animal Apocalypse respond to the Maccabean crisis by looking forward to a “more spectacular restoration” than Judas Maccabees provided (165). Collins also examines the Song of Sabbath Sacrifice and the Temple Scroll from Qumran and concludes “the Dead Sea sect evidently expected some kind of restoration of the temple before the new creation” (173). In “Journeys to the World Beyond in Ancient Judaism” Collins focuses on the earliest ascent apocalypses (originally published in Martin McNamara, ed., Apocalyptic and Eschatological Heritage: The Middle East and Celtic Realms [Dublin: Four Courts, 2003]: 20-36). He considers Bousset’s view these heavenly journeys were an anticipation of the ascent of the soul to heaven after death as an “overgeneralization” (195). There is a real interest in life after death, whether to encourage righteous behavior or warn against punishments to come. The third article in this section is related to this topic, “The Afterlife in Apocalyptic Literature,” (originally published in A. J. Avery Peck and J. Neusner, eds., Judaism in Late Antiquity, Part 4: Death, Life-After-Death, Resurrection and the World-to-Come in the Judaisms of Antiquity [Handbuch der Orientalistik; Leiden: Brill, 2000]: 119-39. Collins repeats the well-known fact that a belief in actual resurrection of individuals was not accepted until the Persian period (199). This belief is developed in several Second Temple apocalypses so that 4 Ezra and 2 Baruch look forward to a general resurrection at the end of history. Collins concludes, however, the more typical apocalyptic description of afterlife is the heavenly ascent (216). The fourth section of three essays is devoted to pseudepigraphy in apocalyptic literature. First, Collins explores the importance of pseudepigraphy for group formation (originally published as “Pseudepigraphy and Group Formation in Second Temple Judaism,” in E. G. Chazon and M. Stone, eds., Pseudepigraphic Perspectives: The Apocrypha and Pseudepigrapha in Light of the Dead Sea Scrolls [Leiden: Brill, 1999]: 43-58). He surveys apocalypses written in the name of Enoch, Daniel and Moses and concludes these names provide legitimization for the group by creating prophecy ex eventu supporting the group. By way of contrast, the Dead Sea Scrolls do not use pseudepigraphy because of the authority of the Teacher of Righteousness. Rather than create prophecies in the style of some ancient authority, the DSS practice exegesis on prophecy to legitimatize the group (the pesher on Habakkuk, for example). The second article in this section is closely related to the first. Collins asks why anyone would choose to write in the name of Enoch or Ezra (originally published as “Enoch and Ezra,” in Matthias Henze and Gabriele Boccaccini, eds., Fourth Ezra and Second Baruch: Reconstruction after the Fall [Leiden: Brill, 2013]: 83-97). Enoch seems an obvious candidate since all that is known about him is he “walked with God” or “walked with angels.” But Ezra is a well-known character from the Old Testament. Collins suggests 4 Ezra transforms Ezra into a kind of Moses, subverting the covenant theology of the past “almost beyond recognition” (245). The final essay in this section focuses on the use of the Sibylline oracles as a pseudepigrapha (originally published in Eibert Tigchelaar, ed., Old Testament Pseudepigrapha and the Scriptures [BETL 270; Leuven: Peeters, 2014]: 195-210). Collins argues a non-Jewish person would be unimpressed by the Sibylline Oracles, knowing them to be forgeries. A Jewish (or Christian) reader, however, may have been impressed to find a prophetic voice in the Greek world which rebuked paganism (266). As such, the oracles function as an expression of anger toward a colonial oppressor. The final section in this volume concerns ethics and politics in apocalyptic literature. First, Collins disagrees with a common opinion that there was a distinct “apocalyptic Judaism” responsible for the collect of books now known as 1 Enoch (originally published as “Ethos and Identity in Jewish Apocalyptic Literature,” in Matthias Konradt and Ulrike Steinert, eds., Ethos und Identität. Einheit und Vielfalt des Judentums im hellenistisch-römischer Zeit [Munich: Schöningh, 2002]: 51-65). The apocalyptic genre could be used by diverse groups often motivated by a desire for higher (or hidden) wisdom and an interest in another life beyond this one. Collins’s article “Apocalypse and Empire” (originally Svensk Exegetisk Årsbok 76 : 1-19) evaluates another common view of apocalyptic, namely that it is a kind of resistance literature. This view was popularized by Richard Horsley, who claimed the problem behind both Daniel and 1 Enoch was oppressive violence by foreign rulers. But to describe this literature as “opposition to empire” is “simplistic and misses the nuances of the mode of resistance” and “obliterate the generic that are essential for nuanced interpretation” (306-7). In “Cognitive Dissonance and Eschatological Violence: Fantasized Solutions to a Theological Dilemma in Second Temple Judaism”(originally published in Nathan MacDonald and Ken Brown, eds., Monotheism in Late Prophetic and Early Apocalyptic Literature [Tübingen: Mohr Siebeck, 2014]: 201-17), Collins explores potential links between apocalyptic literature and violence in monotheistic religions. He takes as a starting point the recent claim that monotheistic religions lead to acts of violence like 9/11. He surveys several Old Testament examples of “violent fantasy” and combat myth, such as Isaiah 63:3-4. The claim these violent texts contribute to the Jewish Revolt in A.D. 70 is an open question, since Josephus states “deceivers and imposters” were the cause of the rebellion (322), but Josephus may be more interested in exonerating the majority of the Jewish people after the war was over. Although this literature may fuel a revolutionary spirit, Collins points out that “imagining an alternative universe can be therapeutic in times of crisis” (324). Finally, Collins engages the embarrassing legacy of apocalyptic millenarianism such as Hal Lindsey and Left Behind (“Radical Religion and the Ethical Dilemmas of Apocalyptic Millenarianism,” originally published in Zoe Bennett and David B. Gowler, eds., Radical Christian Voices and Practice: Essays in Honour of Christopher Rowland [Oxford: Oxford University Press, 2012]: 87-102). In Collins’s view, the ambiguity of the genre of apocalyptic and overly simplistic interpretations of apocalyptic has generated many unfortunate views hoping to “decode the text” of Daniel and Revelation. As in the previous essay, Collins points out that violent fantasies common in these interpretations are often cathartic. Apocalyptic literature itself can be “harnessed for good or evil” (342). Conclusion. Eerdmans has done a great service for Jewish apocalyptic scholarship by bringing these essays together in a single, affordable volume. Readers interested in apocalyptic Second Temple literature will find Apocalypse, Prophecy, and Pseudepigraphy to be a valuable resource. Published on May 24, 2016 on Reading Acts. Now that I have completed my grading for the spring semester and turned in the last of my grades, I am ready to announce the winner of the latest volume of the New Documents Illustrating Early Christianity, edited by S. R. Llewelyn and J. R. Harrison, with E. J. Bridge (Eerdmans, 2012). So Lindsay can contact me (email, plong42 at gmail.com, twitter DM, @plong42) I will arrange to send the book out to ASAP. And if pastorjimmyreagan sees this, you one the last giveaway and need to contact me with shipping info. Thanks to everyone who participated. I have at least one more book set aside as a giveaway to celebrate One Million Hits at Reading Acts. Check back next week for details. This is the second book I am giving away in celebration of One Million Hits at Reading Acts as well as the end of the spring semester. I have an extra copy of the latest volume of the New Documents Illustrating Early Christianity, edited by S. R. Llewelyn and J. R. Harrison, with E. J. Bridge (Eerdmans, 2012). I reviewed it when it came out a year ago and have found all ten volumes to be valuable resources. This volume has about 100 pages of cumulative index for volumes 6-10 as well as 175 pages of newly published inscriptions and papyri. As I concluded in my previous review of the book, virtually every section of New Documents Volume 10 is worthy of attention. The entries make for fascinating reading and they all contribute to our understanding of the world of the New Testament and early Christianity. I highly recommend this volume to students and scholars. Every serious library should own all ten volumes of this important series. The book is new but has a remainder mark and a partially removed sticker on the cover. To have a chance at winning this book, leave a comment with your name (and anything else you need to say, think of this as a chance for catharsis). I will select on comment at random and announce the winner on May 3, 2016. Ian Boxall’s Discovering Matthew is the first of two contributions to the new Discovering Biblical Texts series from Eerdmans, joining Discovering John by Ruth Edwards. The sub-title for the series is “Content, Interpretation, Reception,” indicating an interest in both the general content of the Gospel of Matthew but also how the Gospel ought to be read in the light of the reception of the Gospel by the church. Matthew has been a popular gospel because it was thought to be the earliest Gospel and written by an eyewitness, the tax-collector turned disciple, Matthew. As a result it was used in liturgy and catechisms by the early church, so that many Christians are only familiar with the forms of the Sermon on the Mount from Matthew or the Lord’s Prayer only in Matthew. In the nineteenth century that consensus broke down, Mark became the earliest of the Gospels and Matthew was written by an anonymous writer as many as sixty years ears after the death of Jesus. This author used (and sometimes abused) Mark’s Gospel. Some are offended by Matthew’s vitriolic attacks on the Jewish leaders, especially the Pharisees, yet others are drawn to the Gospel’s interest in the Gospel going out to the nations. The first three chapters of this introduction deal with introductory matters, including strategies for interpretation and the text of Matthew. Boxall surveys various exegetical approaches to the Gospel beginning with Aquinas and other pre-critical readings (allegorical, etc.) He introduces Historical Criticism (source, form and redaction criticism) as well as social scientific readings of Matthew and Narrative criticism and Reader-response approaches. For each of these categories he offers a brief description and evaluation supplemented with a few key references to representative scholars. With respect to Matthew’s sources, Boxall briefly summarizes the arguments for (and against Q), although he does not come to a firm conclusion (“leaving Q aside,” p. 35). He dates the Gospel after A. D. 70 and before A.D. 100 and later in the book Boxall surveys several possible provenances for the Gospel and concludes a precise identification does not add much to the interpretation of Matthew (74). Chapters 4-5 describe the characters of Matthew’s story (following Jack Kingsbury) and the historical and social setting of the first Gospel. The setting of Matthew is a hotly debated topic, with some scholars following W. D. Davis suggestion Matthew was written as an alternative to “Jamnia Judaism,” the Judaism which formed out of the Jewish response to the fall of Jerusalem in A.D. 70. Others (Richard Bauckham, for example), reject this view of the background of Matthew since it is not tenable Matthew addressed a specific situation as if it was a Pauline letter. Boxall thinks Bauckham has overstated his case: there are passages which do appear to address a specific situation (65). But what is that situation? Was the Gospel written to people who were essentially Jewish who believed Jesus was the Christ, or Christians who were ethnically Jewish (intra vs. extra muros)? Unfortunately, Matthew’s Gospel is ambiguous, both are possible given the evidence of the book. It is even possible Matthew was a gentile, or at the very least has a pro-Gentile bias. John Meier suggested this, Boxall is not convinced (70). The next seven chapters treat major themes of Matthew’s Gospel, beginning with the Infancy Narratives (ch. 6), Jesus as Teacher (ch. 7), Jesus as healer and exorcist (ch. 8), Jesus as fulfilment of the Law (ch. 9), The Gospel of the Church (ch. 10), The Passion (ch. 11) and resurrection (ch 12). These chapters provide light commentary on genre, sources and content, but also reflection on Matthew’s theology as presented in the unit. As with the other sections of the book, Boxall offers a wide range of opinion in order to introduce students to secondary literature on Matthew. A concluding chapter offers a few comments on interpreting Matthew today (ch. 13). First, Boxall observes they growing awareness in scholarship that a text is capable of meaning several things. Authorial intent is only one possible meaning sine a text tends to take on a “life of its own once it leaves the author’s hand. If this is the case, Boxall’s second observation is that there is a need for a variety of interpretive tools to more fully interpret a complex text like Matthew. By focusing only on historical-critical questions, one will miss the rich theological possibilities raised by narrative criticism or the study of Reception history. Third, as newer approaches to the text have made clear, interpretations have consequences. Here Boxall alludes to the unfortunate consequences of some interpretations of the phrase “his blood be on our heads” (Matt 27:25). Finally, Boxall concludes modern interpretive methods have increased our understanding of the participation of readers in the process of interpretation. The days of the detached, unbiased historical critic are long gone and it is difficult to separate interpretation from application. James Edwards previously contributed the volume on Mark to the Pillar New Testament Commentary. It is unusual for a commentary series to assigned two Synoptic Gospels to a single scholar. What is more, Edwards did not write the Acts commentary in the series, David G. Peterson did in 2009. This allows Edwards to read Luke without having a second commentary on Acts in mind. As a result, Luke nor Luke is not merely a prologue for Acts. Edwards notes in the preface he has not paid attention to reception history in the commentary, referring interested readers to François Bovon’s Hermneia commentary on Luke. At only 22 pages, the introduction to the commentary is brief, especially since it is divided into nine sections. Edwards accepts the traditional view the author of both Luke and Acts was a companion of Paul and quite possibly Jewish (10) native of Antioch (12), although he is less open to the suggestion Luke was a doctor (8). It is nearly certain Luke used the gospel of Mark, which Edwards dates about A.D. 65, suggesting a date for Luke’s Gospel about a decade later. If Like is dated after A.D. 70 then Luke 19:43-44 may be an allusion to the destruction of the city. Edwards argues Luke used a Hebrew source along with Mark. In the introduction to this commentary he briefly summarizes the argument of his The Hebrew Gospel and the Development of the Synoptic Tradition (Eerdmans, 2009). There are, Edwards argues, a disproportionally large number of semiticisms in the Gospel of Luke, especially in the unique material in the third Gospel. Semiticisms are words and phrases can be best explained as reflecting a Hebrew or Aramaic original, such as the “divine passive.” Sometimes these phrases are called “Septuagintisms” because Luke sounds like the Septuagint. The Greek translation of the Hebrew Bible obviously is based on a written Hebrew source and often reflects the style of the Hebrew original although it is written in Greek. Edwards finds many of these examples of semiticisms in the Gospel, especially in the prologue. With respect to the sayings source (Q), Edwards remains unconvinced. Of the approximately 175 verses usually associated with Q, some are narrative and at least one is found in the Passion narrative. This so-called double tradition does not exhibit the semiticism found elsewhere in Luke (17). Edwards suspects the double tradition is the “skeletal remains” of one of Luke’s sources and it is likely Matthew received the sayings from Luke, although this cannot be state with certainty (17-18). The body of the commentary is not overly concerned with matters of Source Criticism, most references to Hebraisms appear in the footnotes. There are eleven excurses scattered throughout the commentary. These brief notes cover key terms in the Gospel (“Son of Man”), literary features (“Elijah and Elisha Typology,” “Pairs in the Third Gospel”), and historical issues (“Pharisees in Luke,” “Pontius Pilate and Herod Antipas”). These are useful and placed at appropriate places in the commentary. When Edwards offers some additional detail on a historical, exegetical or geographical point within the commentary which are shorter than an excursus, the theme is identified in bold print (tax collectors, 3:11; slavery. 16:1-9). The body of the commentary follows Edward’s outline of twenty-two sections, roughly equivalent to about a chapter of Luke per section. Each unit is divided into several pericopae with comments on groups of verses rather than words or phrase. All Greek appears in transliteration with most technical details relegated to the footnotes (textual variants, references to various theological dictionaries and wordbooks). Since there are few in-text notes, the commentary is very readable. Edwards has several memorable phrases, such as his description of perceptions of Jewish tax-collectors as “the husk of an individual whose soul had been eaten away by complicity with Roman repression” (169). He is able to use brief contemporary illustrations to make the text clear, such as comparing the shrewd manager in 16:1-13 to a CEO who says “you’ve turned your pink slip into a promotion” (455). Although this is an exegetical commentary which wrestles with lexical and syntactical issues, Edwards finds ways to elegantly draw out meaning and present it in language appreciated by students and busy pastors who desire to teach the text of Luke in various contexts. The commentary often provides cultural details drawn from Second Temple period practice. Commenting on 11:37-40, for example, Edwards explains the importance of ritual washing before meals, citing the work of Neusner (354). His observations about the piety of the Pharisee in 18:9-14 make it clear the Pharisee is “not to be denigrated for declaring his commendable record” (504) based on Tobit 1:6-8 and other early texts. His presentation of Jesus’ prediction of the destruction of the Temple refers to many Second Temple texts from the Dead Sea Scrolls (594). In addition to the literature of the Second Temple period, Edwards draws on the insights of patristic writers throughout the commentary. There are numerous references to Origen’s Homilies on Luke and the writings of Justin Martyr, Jerome and Eusebius. Conclusion. Each volume of the Pillar series has been a solid contribution to scholarship, Edward’s Luke commentary continues this legacy. There are more technical commentaries available, but this commentary is a pleasure to read and will serve pastors and teachers well as they continue to study the third Gospel.